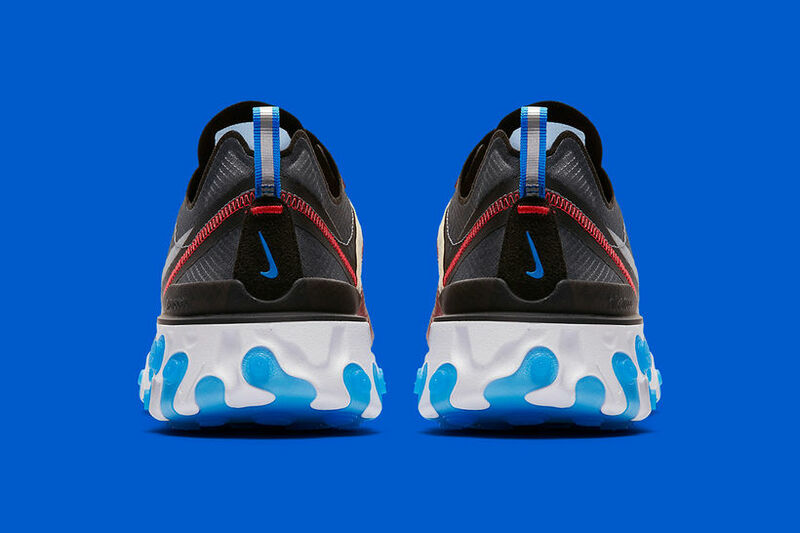 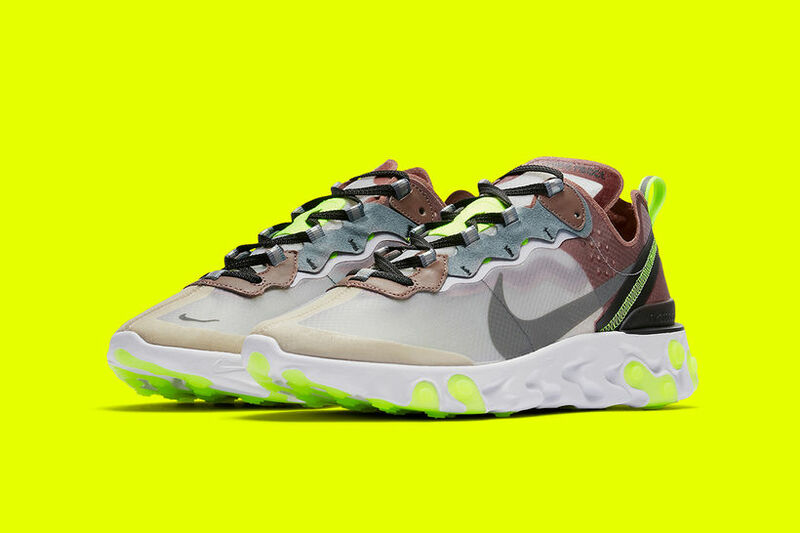 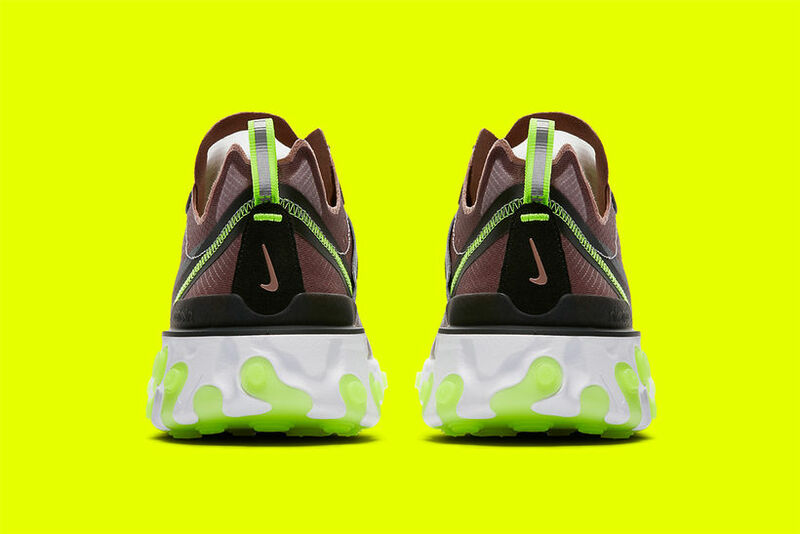 Already dubbed by many sneaker heads as shoe of the year Nike’s React Element 87 will finally be releasing in 2 colourways which have been teased for months. 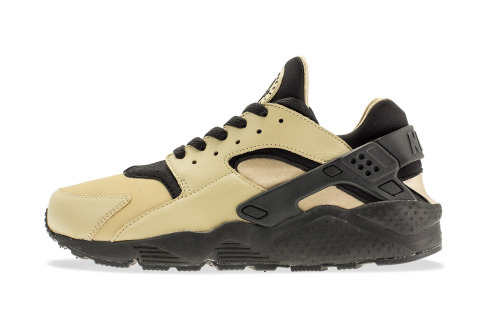 Dubbed Dark Grey and Desert Sand the latest colourways are a lot more vibrant than their title’s suggest. 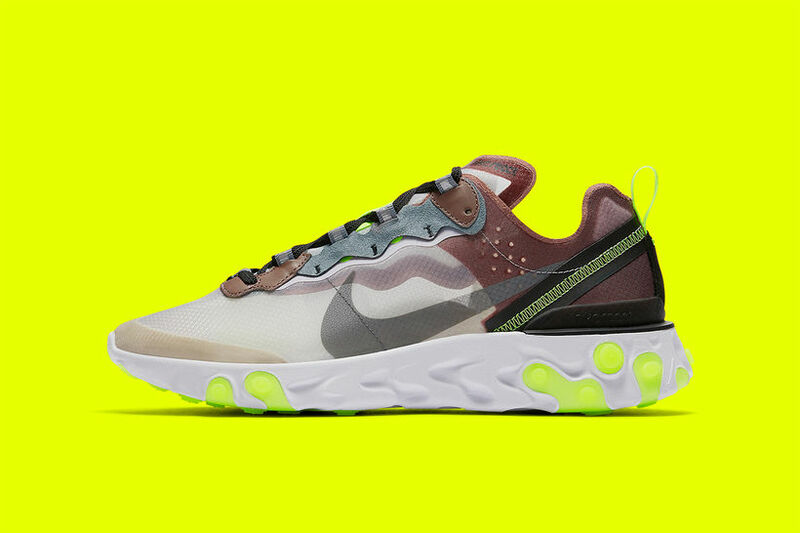 The Desert Sand option is the brightest of the two skus with a predominantly brown and black upper, offset with neon green hits. 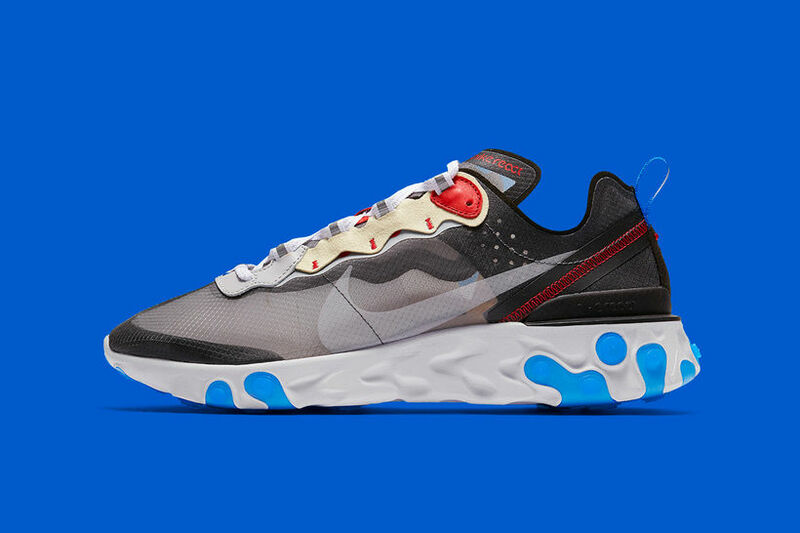 The less vibrant but still colourful dark grey pair has a similarly coloured upper to the Anthracite pair that dropped a couple of months ago, but has hits of red, blue and beige to spice up the upper. 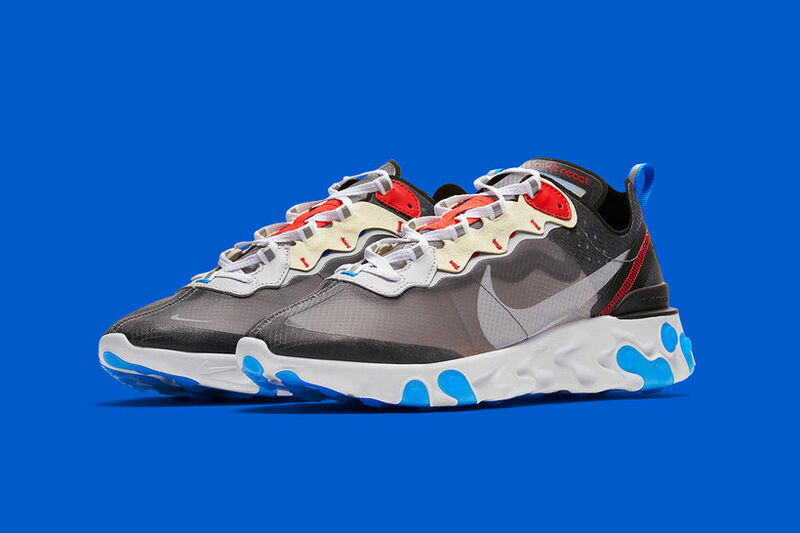 Retailing at £135 the React Element 87 will be dropping on Thursday te 16th of August on Nike Sneakers and End Launches.